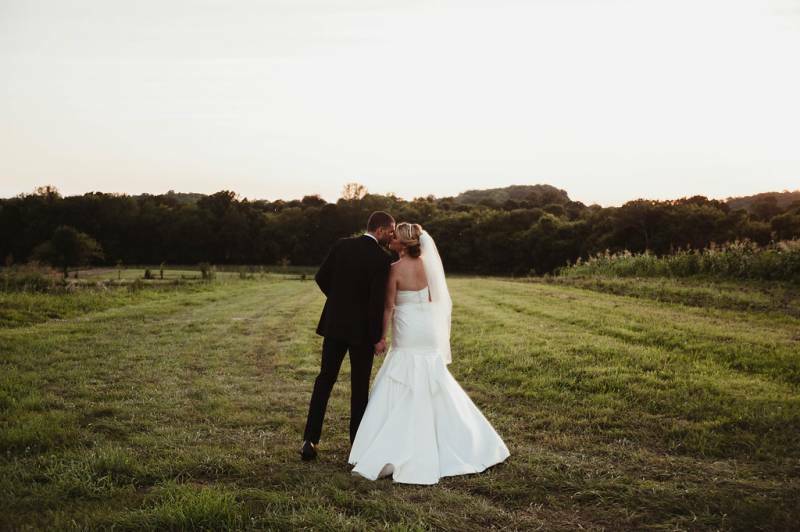 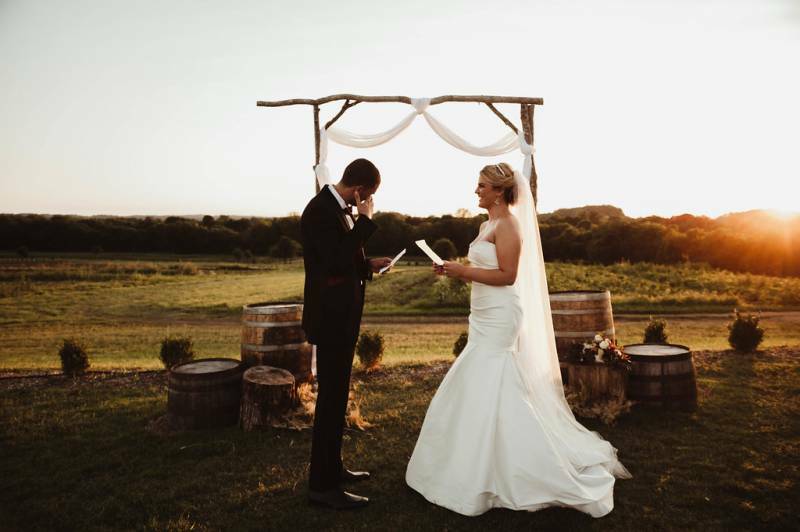 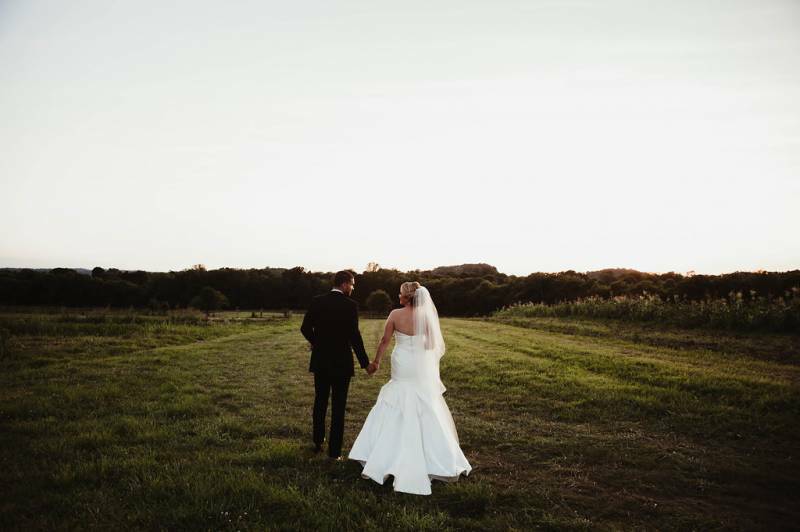 I love a sunset wedding and sunsets out in the Tennessee country are especially beautiful! 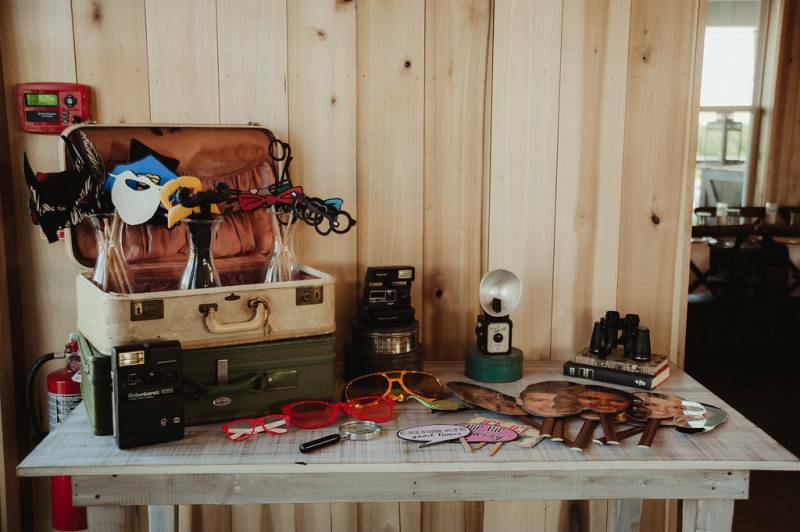 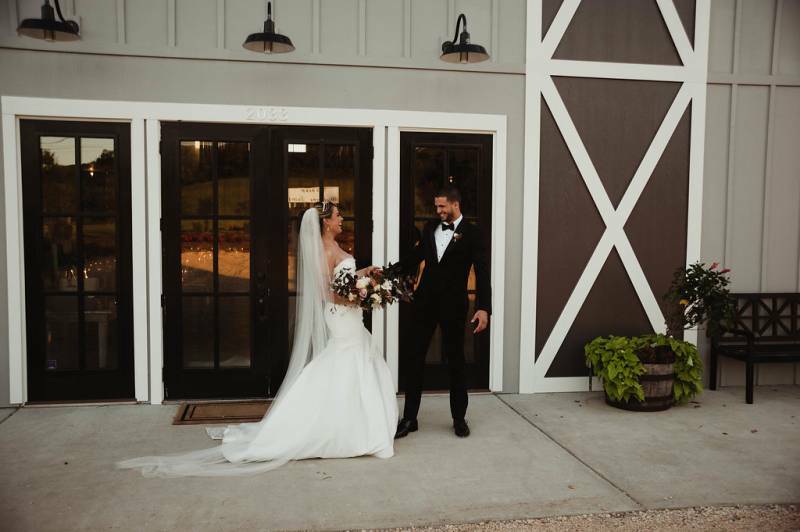 Sheri of Swanky Fine Art Weddings put together this styled shoot at Allenbrooke Farms that completely captured the modern day barn wedding. 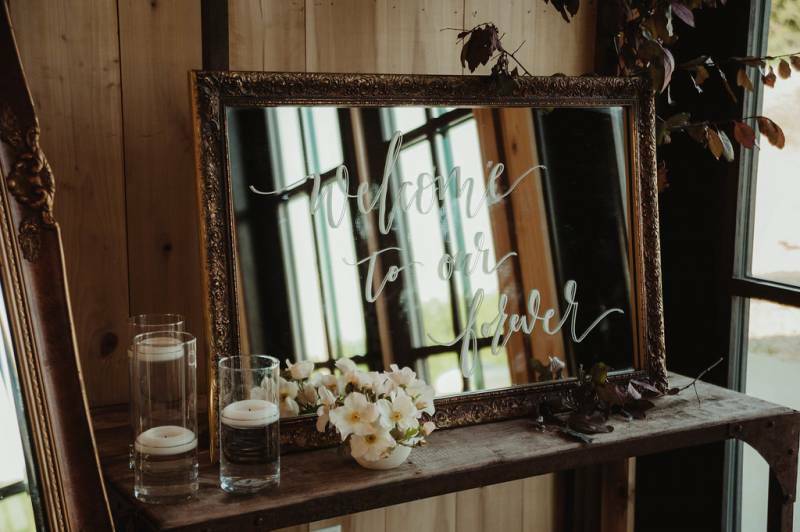 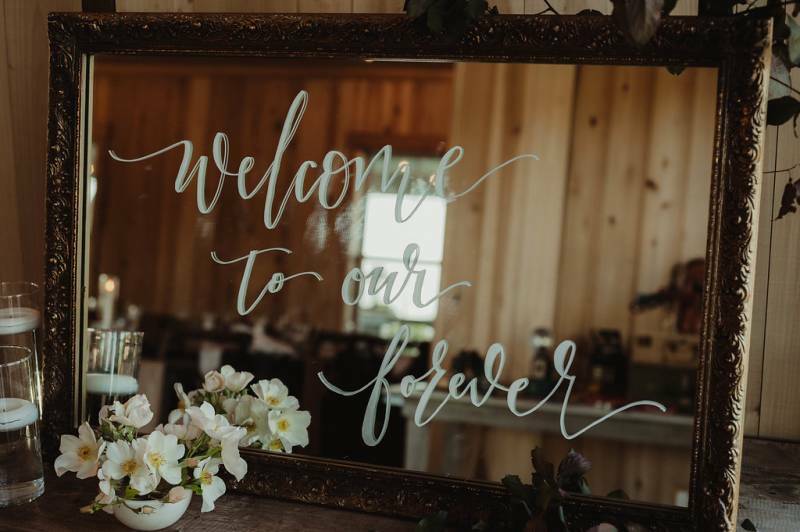 The team of vendors including planner Mika of Enchanted Garden Events and calligrapher White Ink Calligraphy created a scene that was classically beautiful. 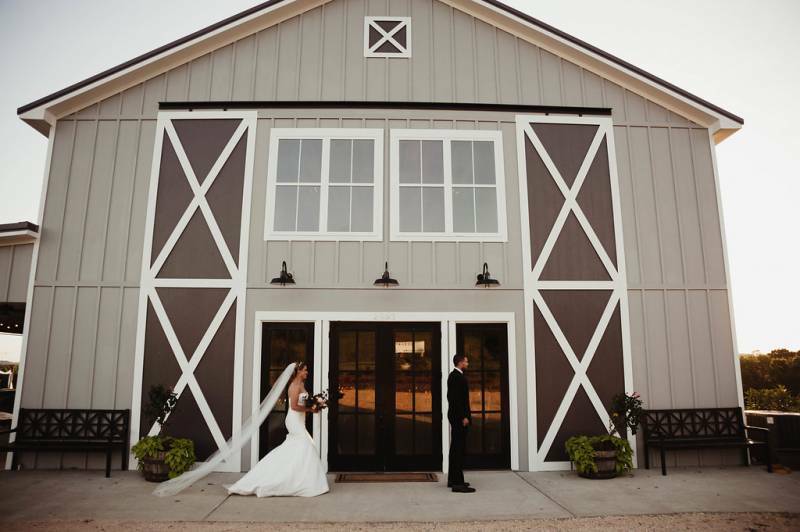 Keep scrolling to see all of the barn beauty below! 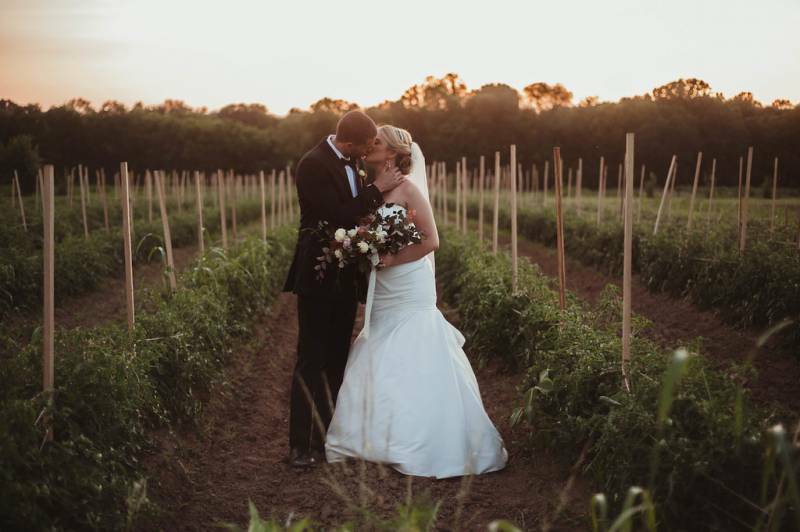 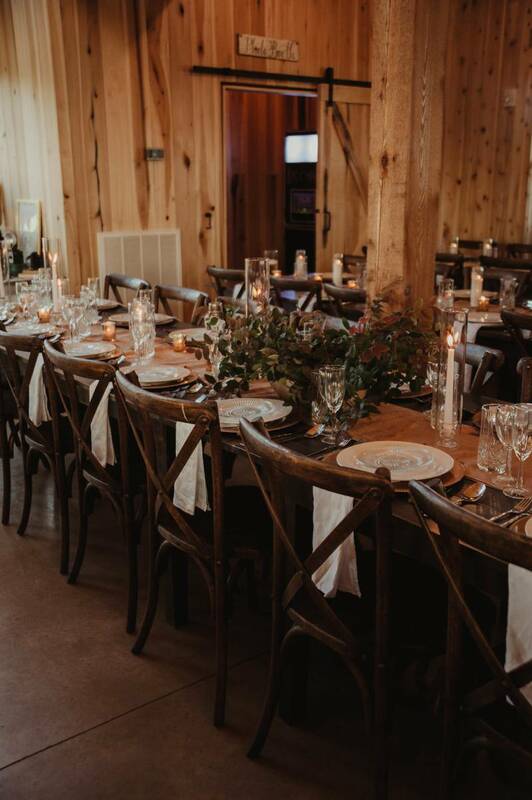 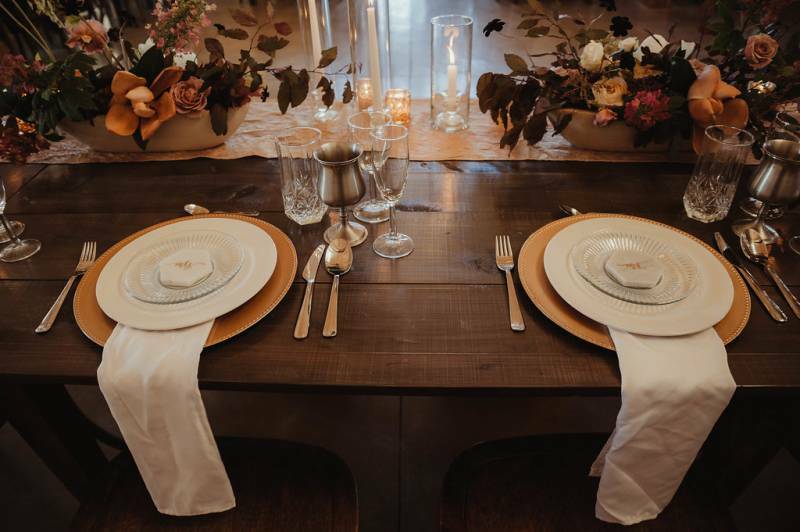 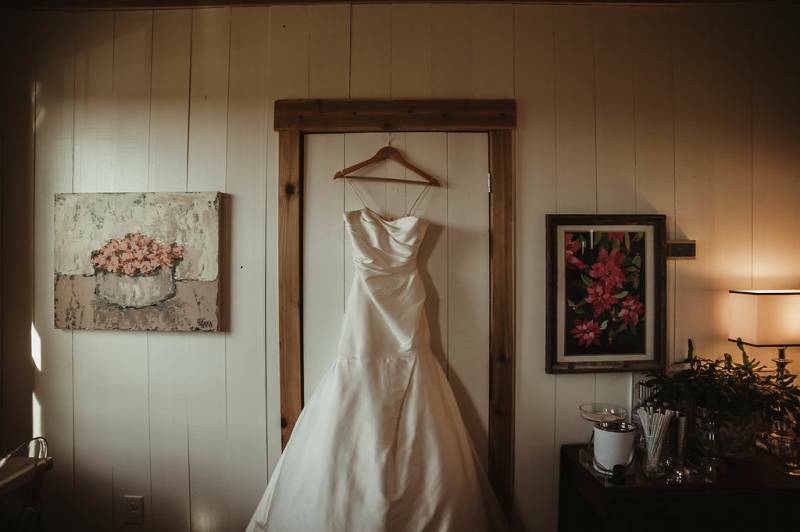 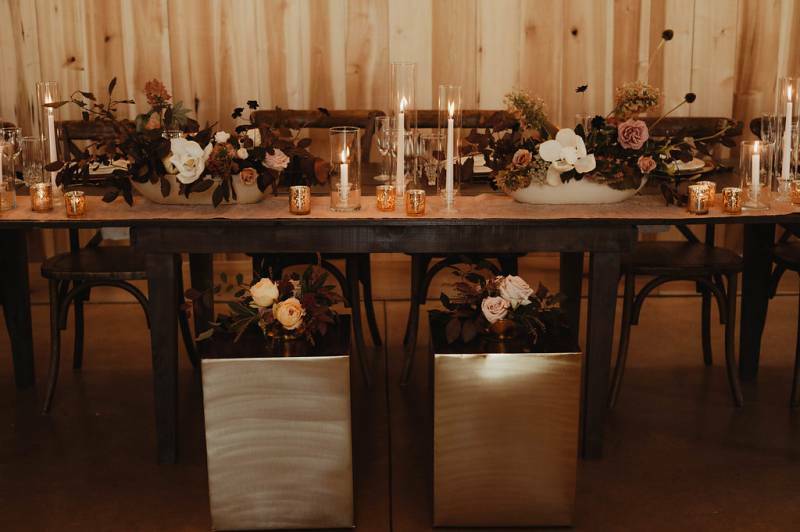 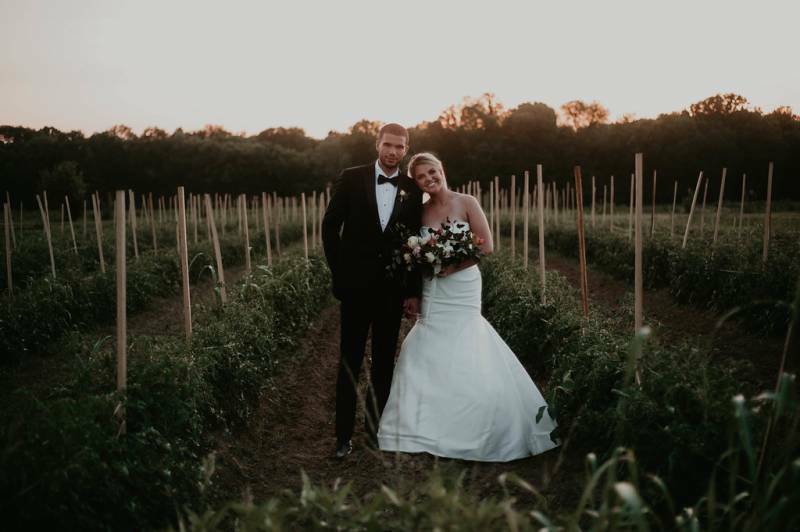 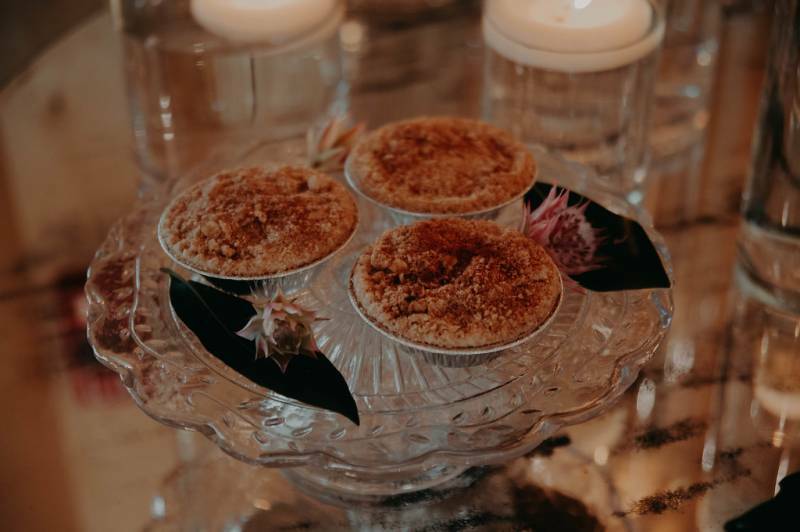 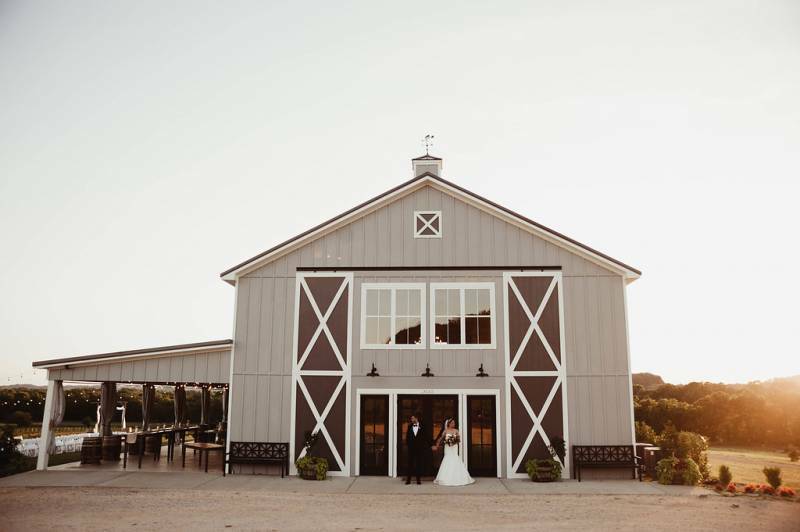 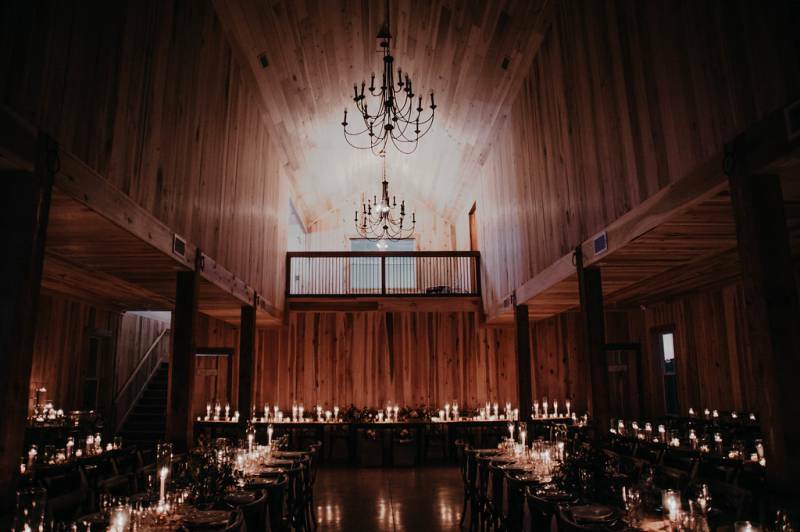 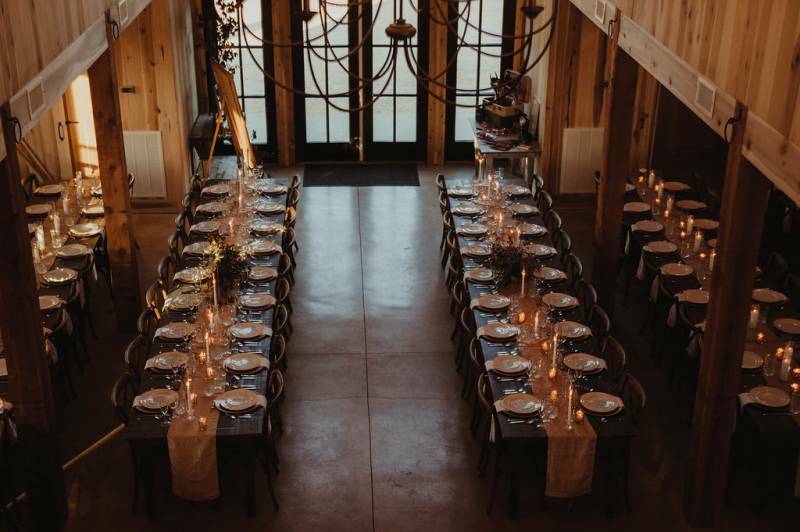 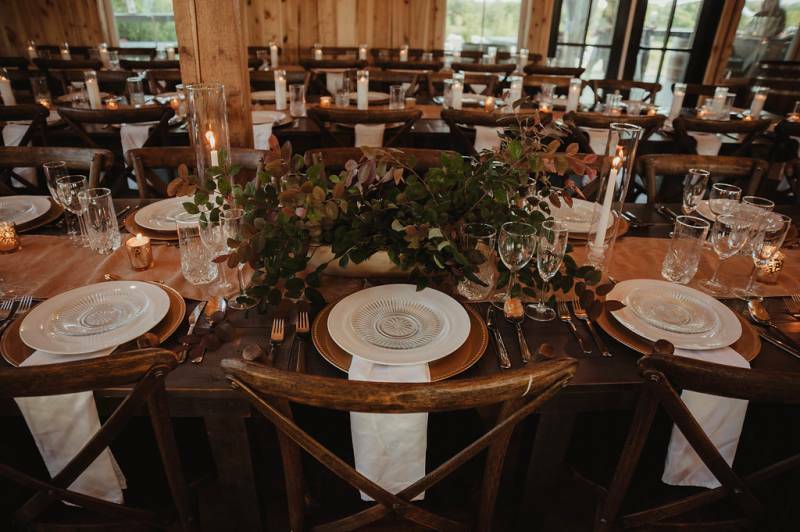 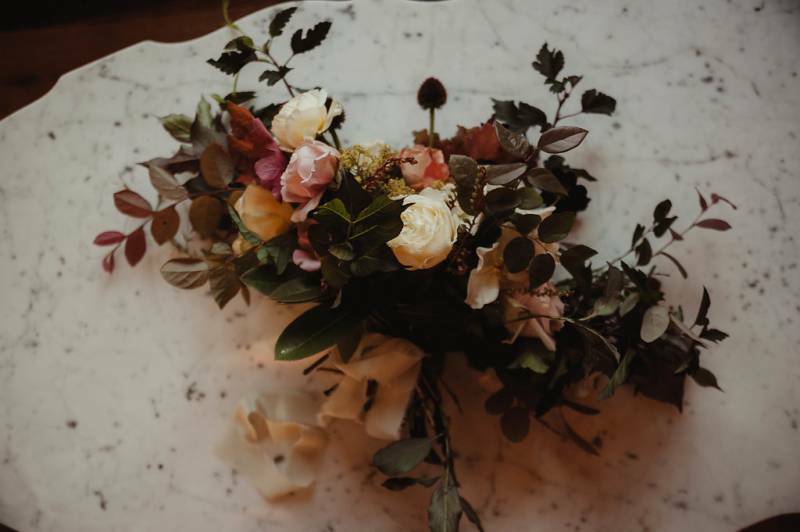 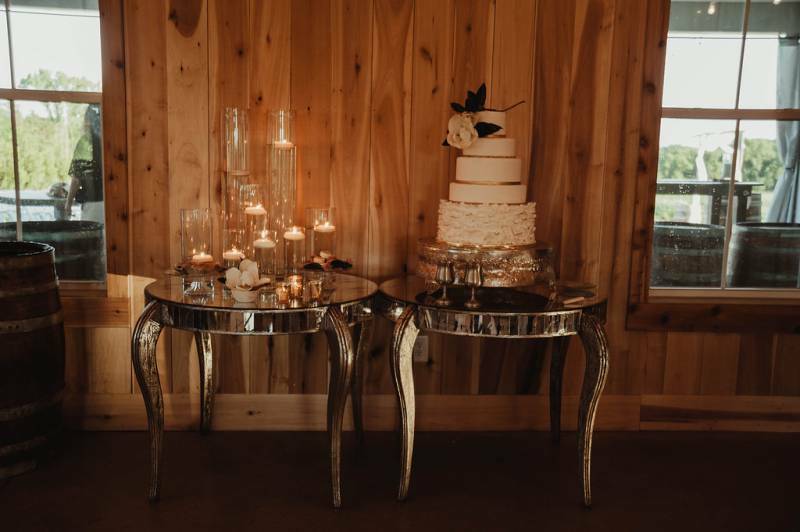 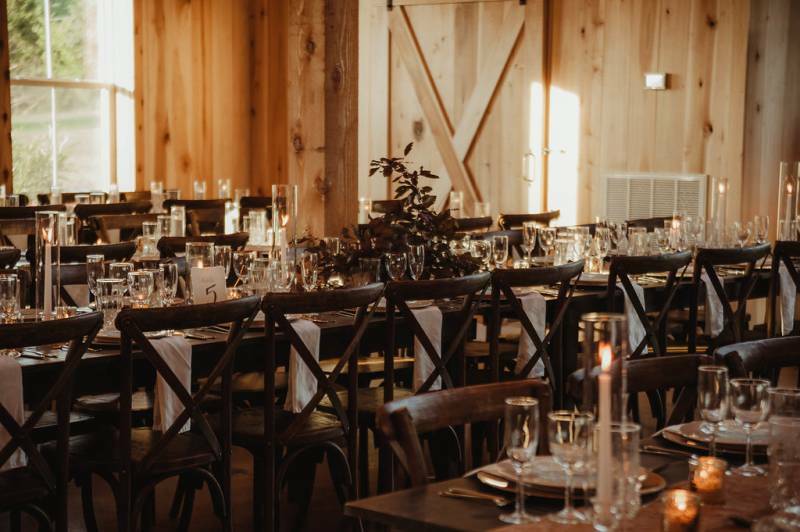 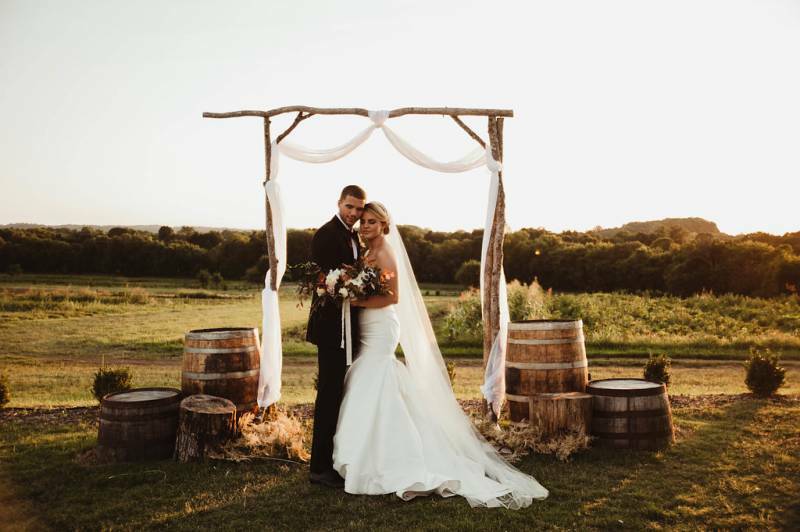 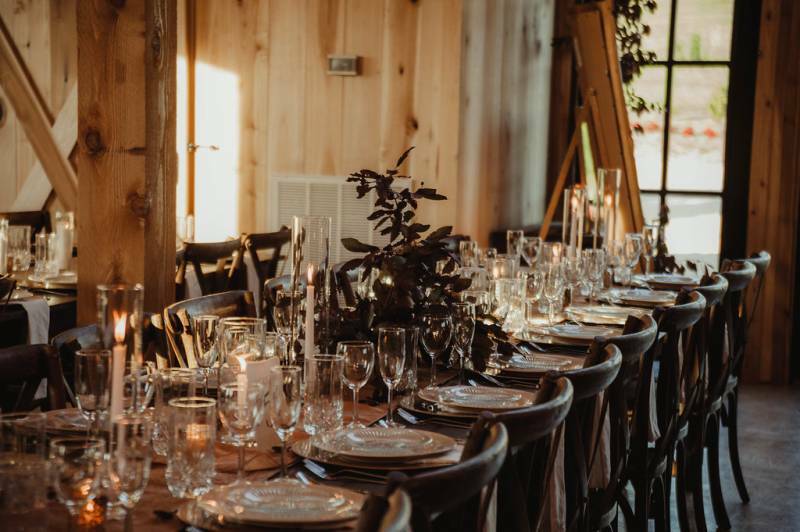 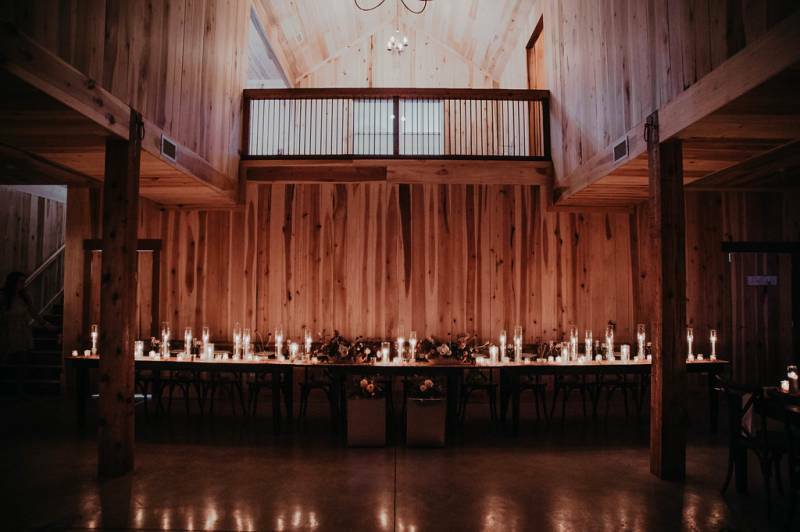 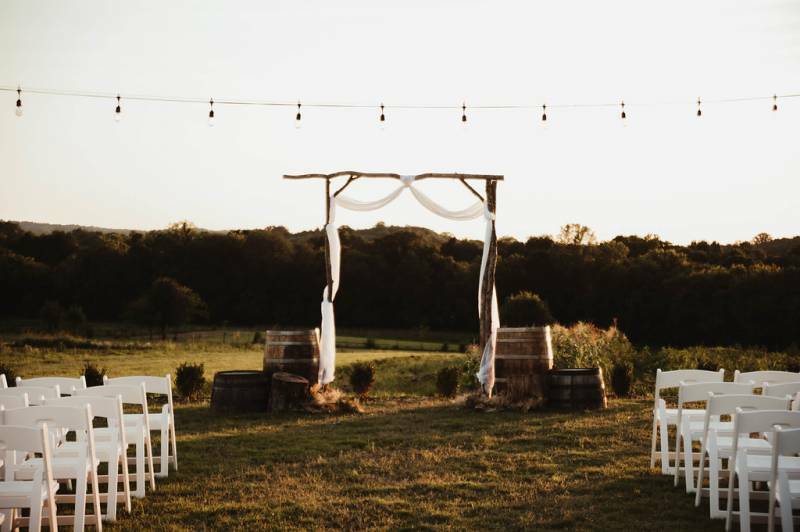 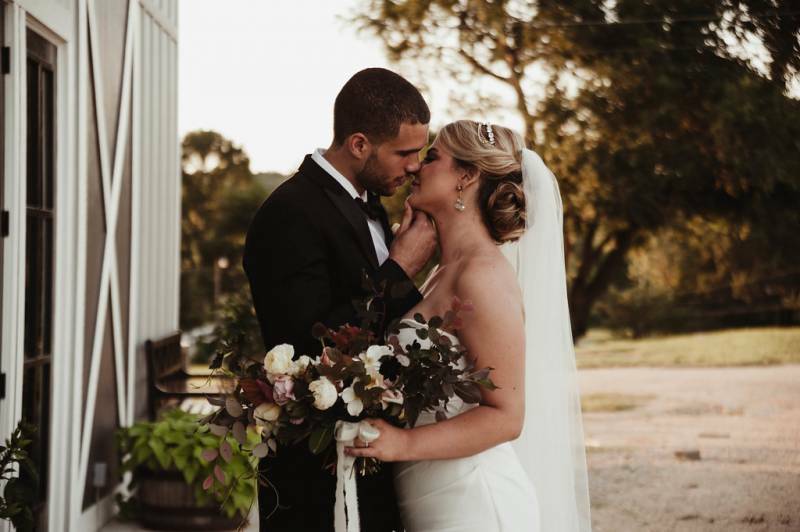 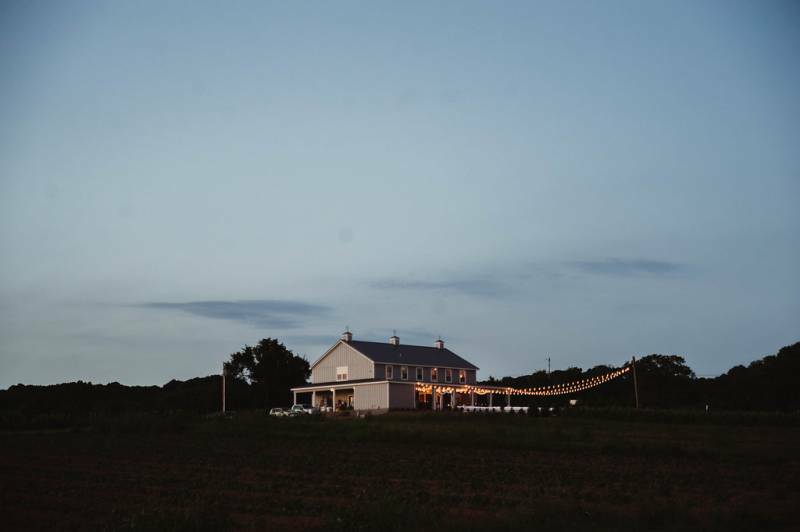 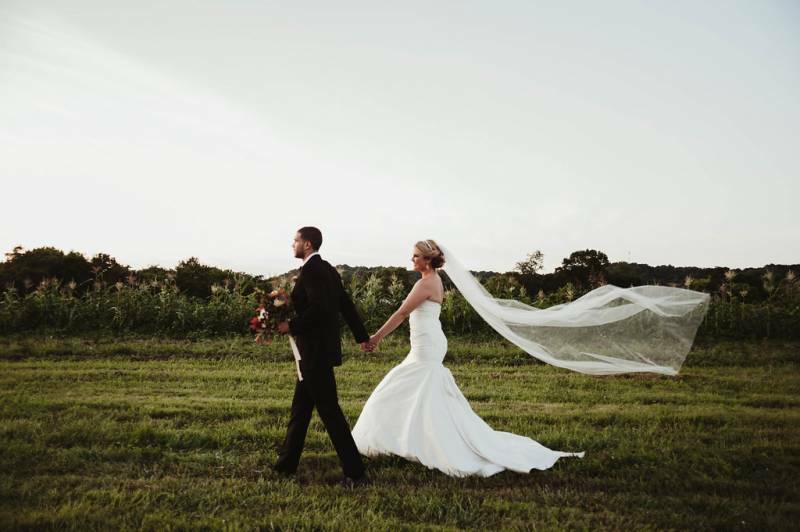 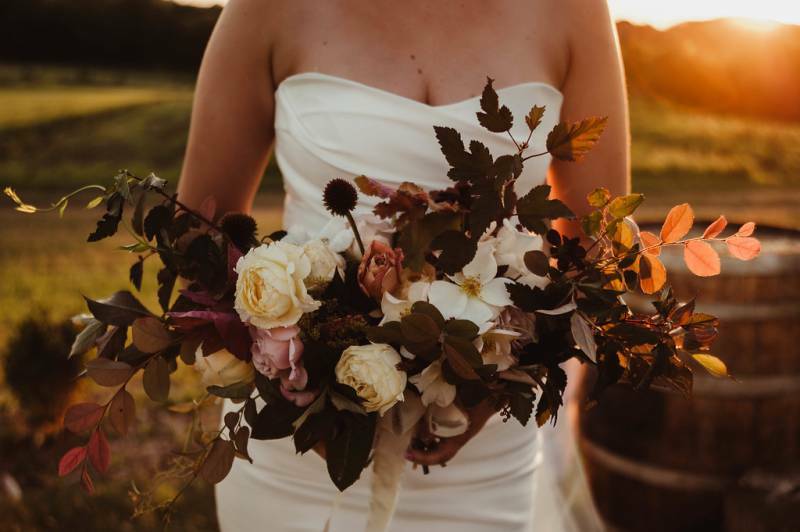 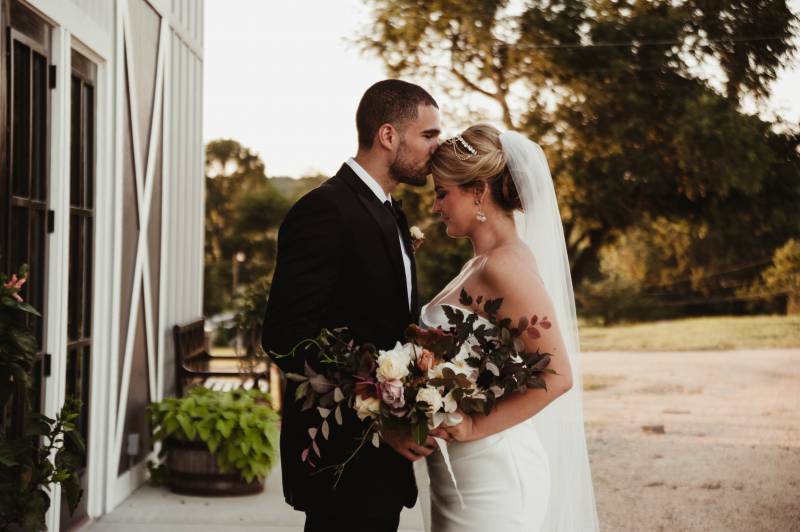 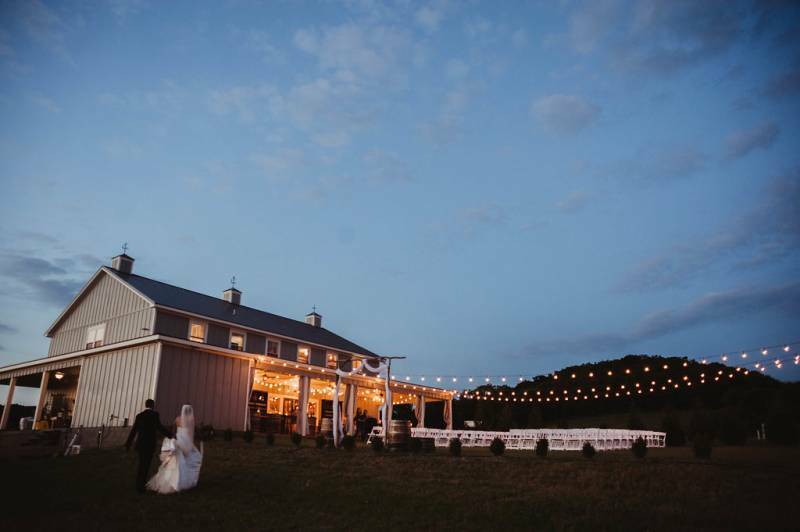 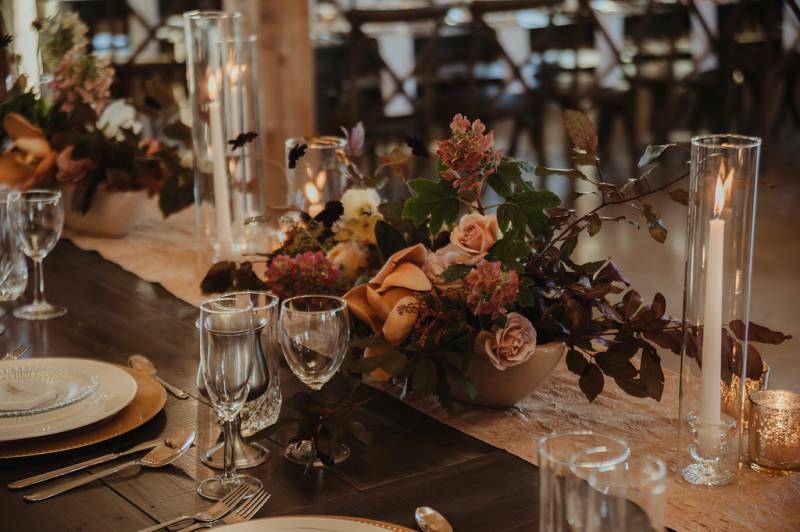 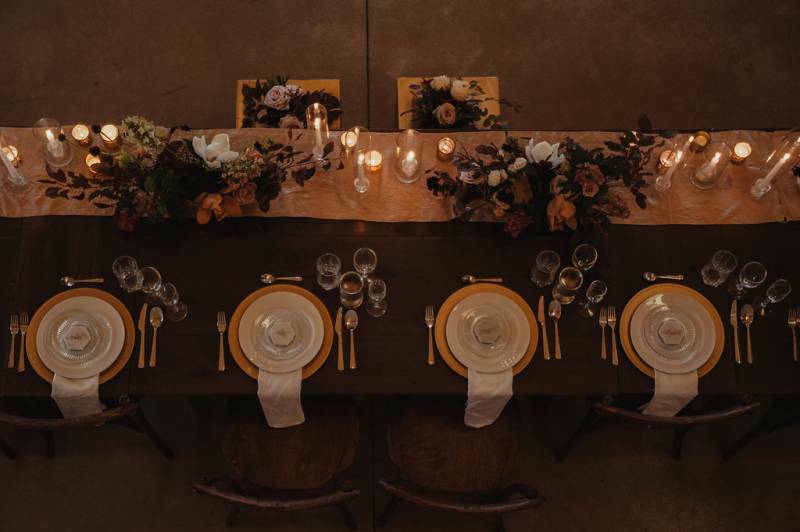 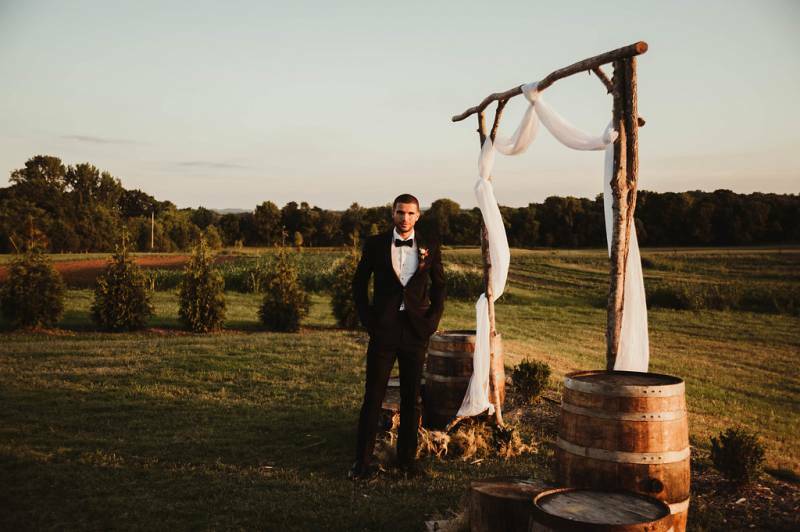 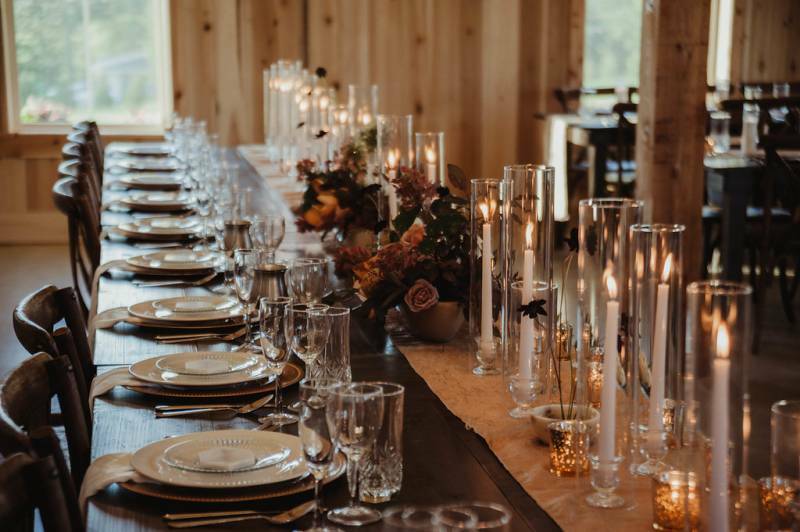 From the Planner, Mika Suson of Enchanted Garden Events: I have always had a weakness for beautiful barns and when I first saw pictures of Allenbrooke Farms, I fell in love. 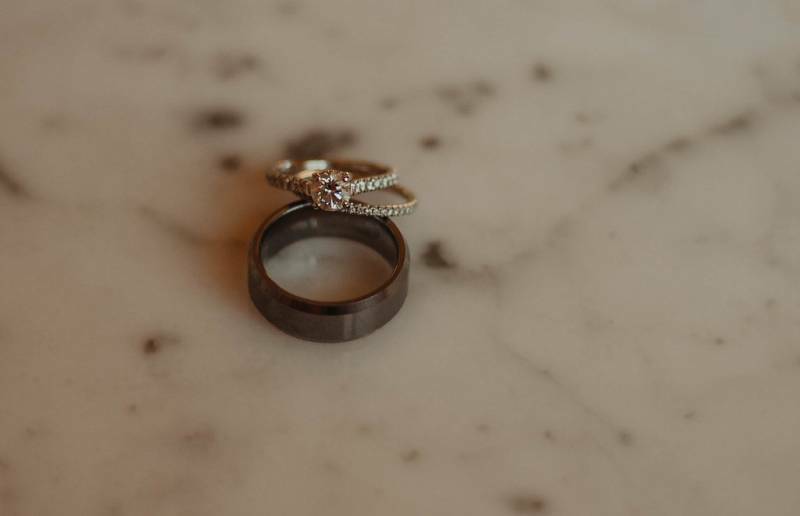 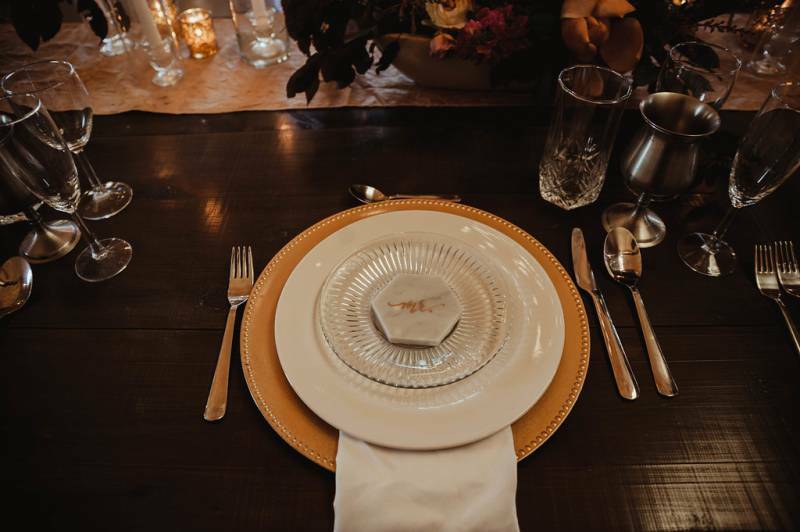 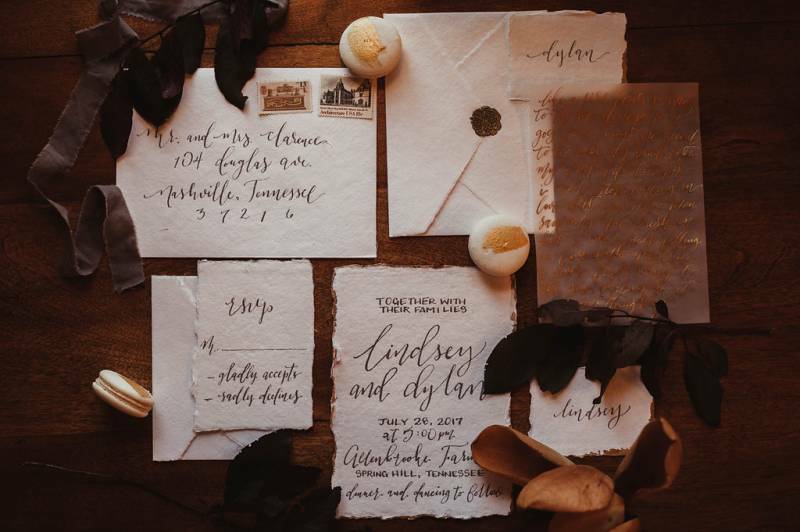 Immediately, I envisioned a Southern glam wedding, warm tones rich with gold and cream colors. 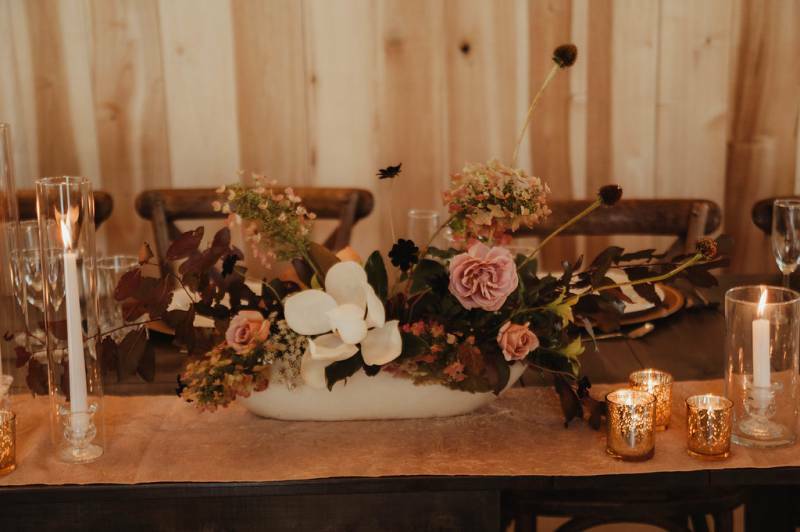 Gorgeous florals to match the organic feel of the farm and countless candles to add to the romance. 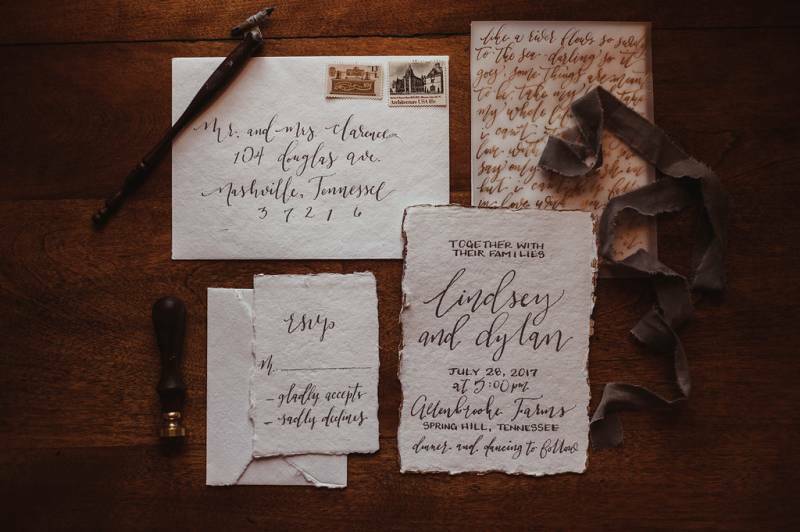 The invitation suite by White Ink Calligraphy was written perfectly on hand made paper and vellum. 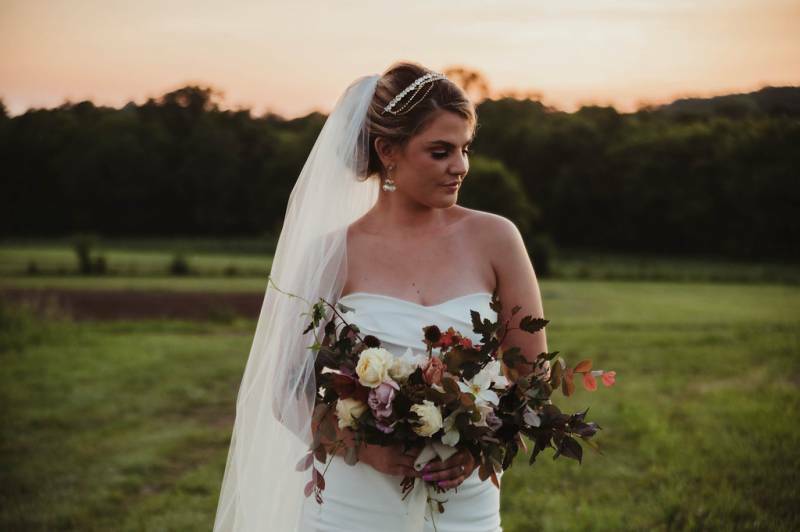 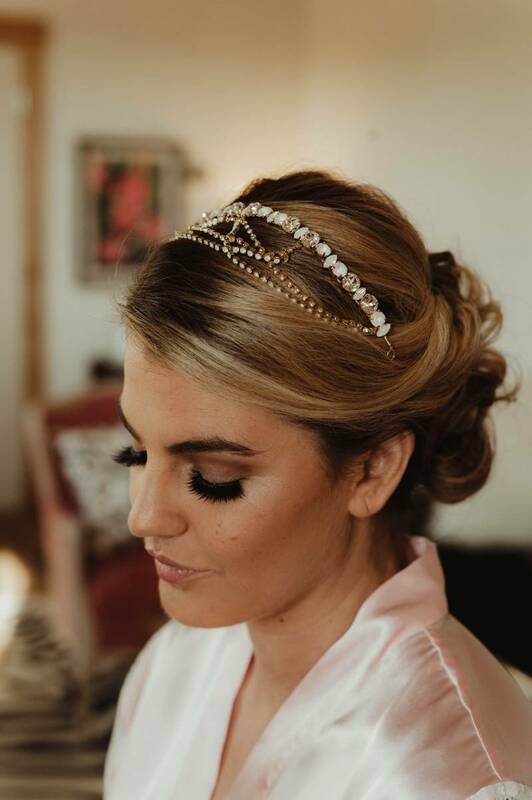 The bride wore a stunning Monique Lhullier gown from The Bride Room with one of kind handmade jewelry and headpiece from Alice & Mae. 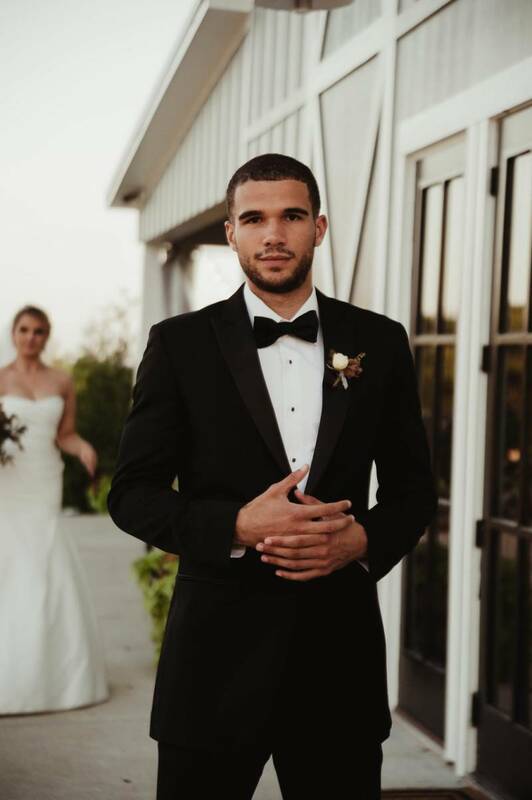 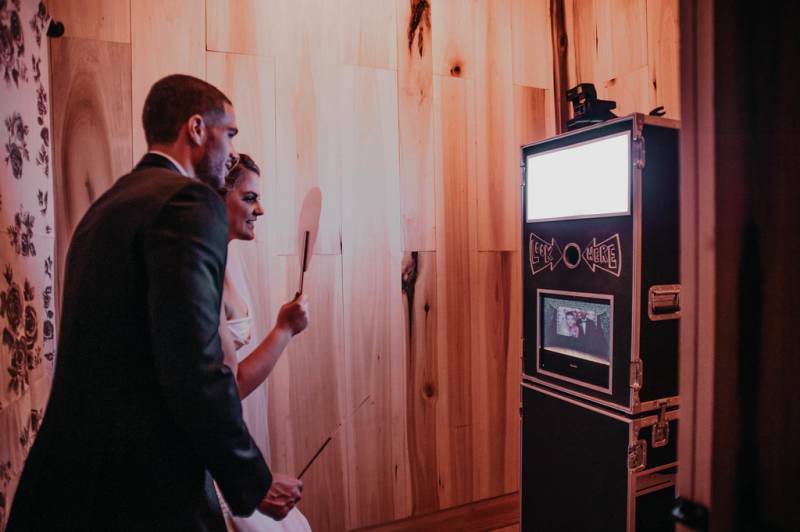 The groom looked handsome in a traditional black tux by Street Tuxedo. 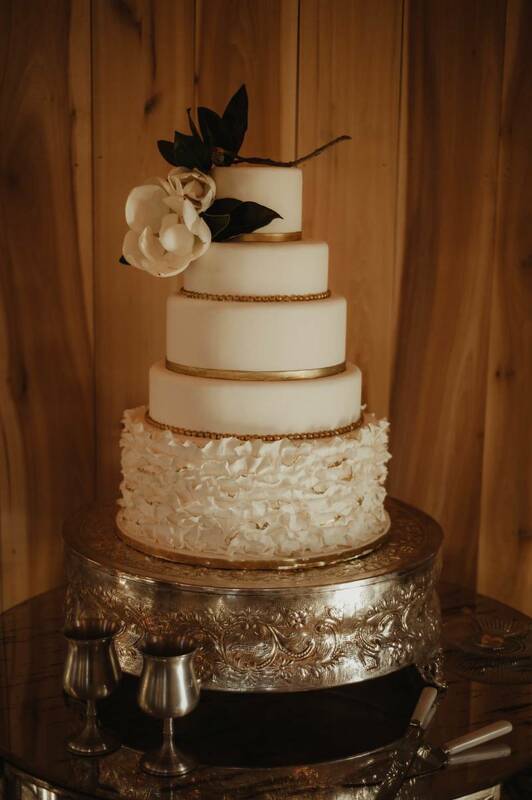 The single stem of magnolia adorning the top of the wedding cake by Baked in Nashville was the finishing touch that I am still swooning over. 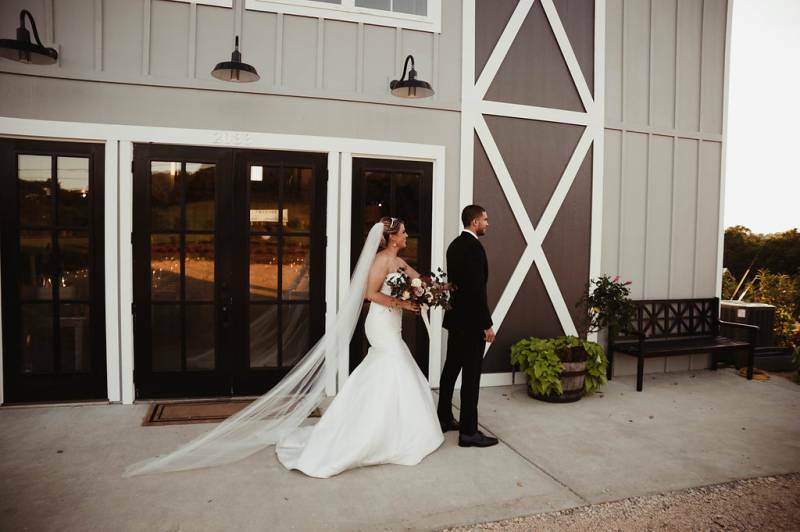 It was such a magical, beautiful day at The Barn at Allenbrooke Farms. 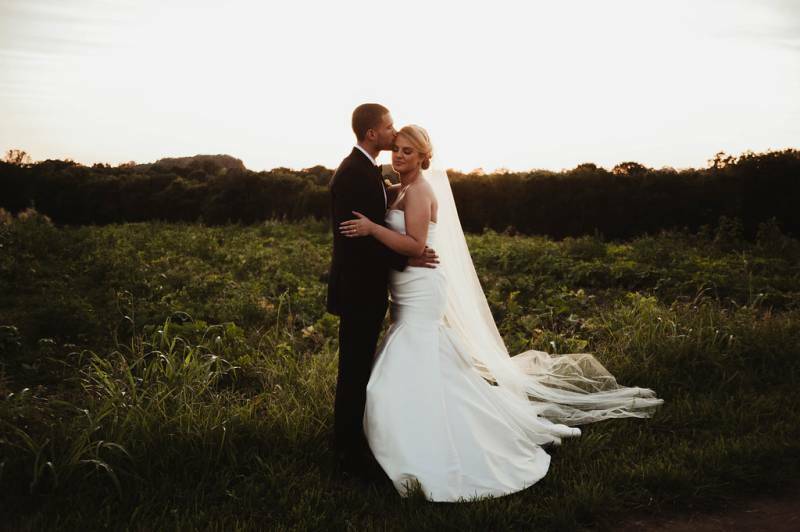 Thank you so much for sharing this shoot with us, Sheri! 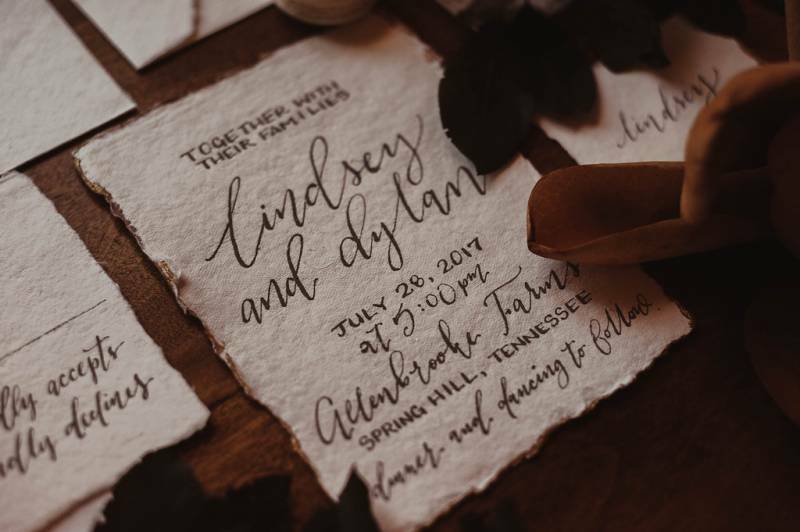 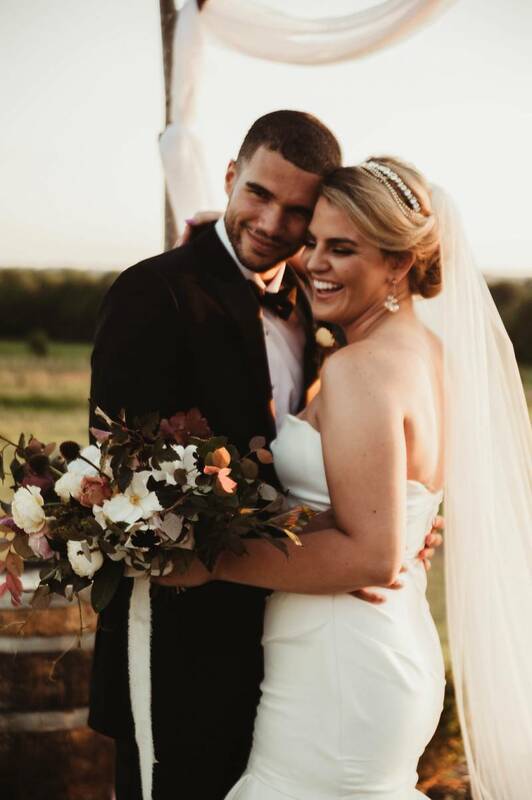 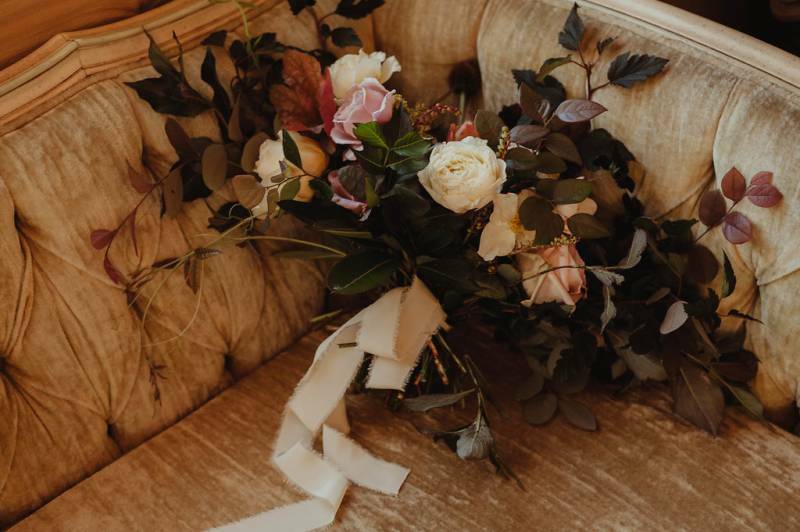 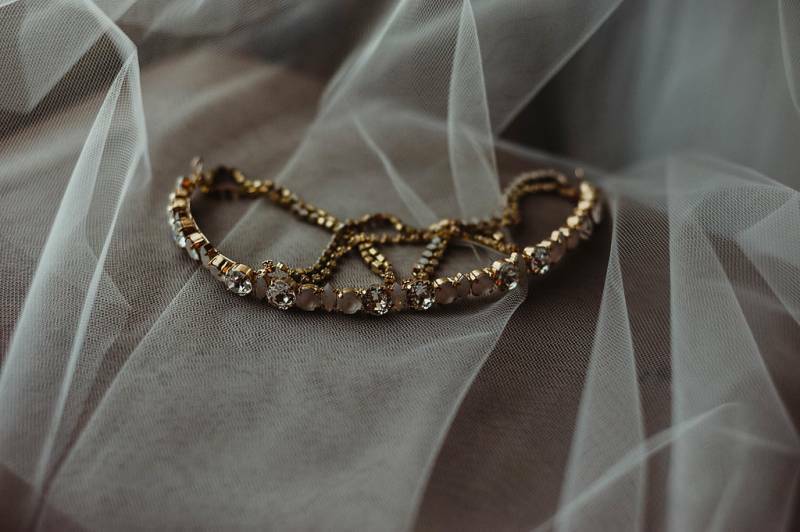 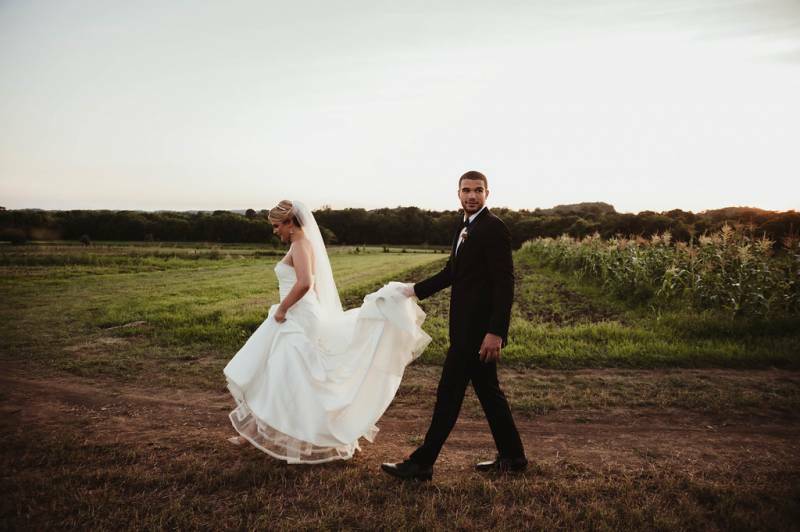 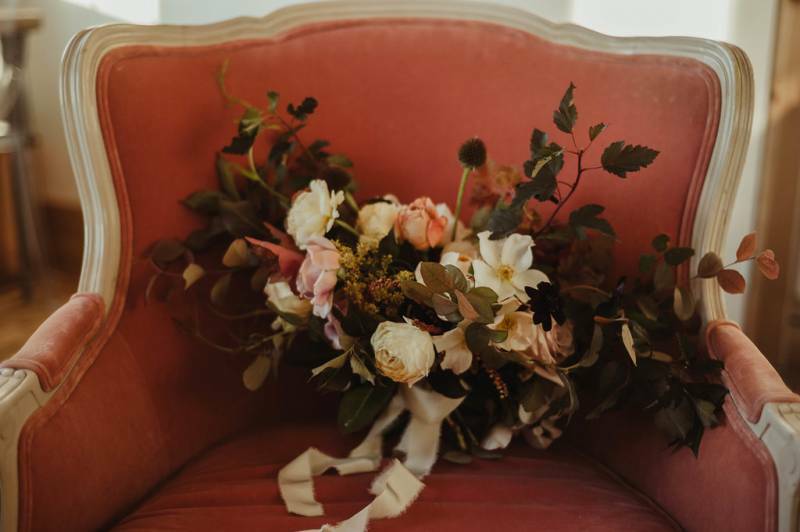 You can check out more of Swanky Fine Art Weddings' work here online and also be sure to follow her over on Instagram!